I don't just post stuffs that involves earning without properly using it my self and confirming it , and as that , this one has been tested and proven 100% working and legit . 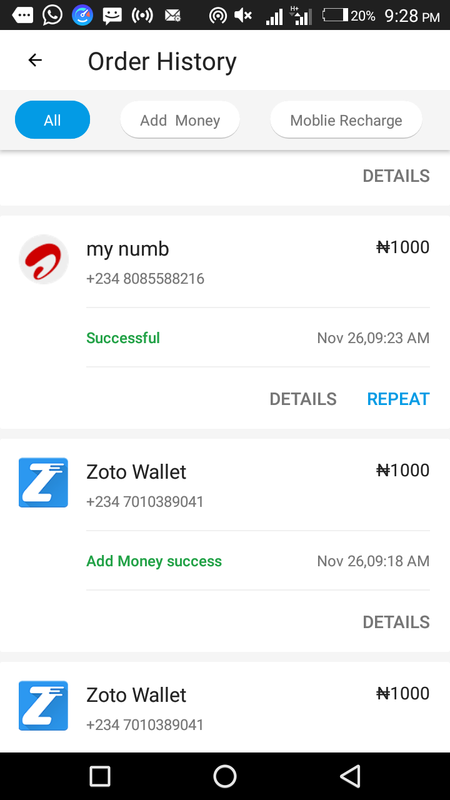 But first of all what is zoto mobile recharge app , zoto mobile recharge app is an app that lets you easily recharge and pay bills efficiently just from the comfort of your home , you can recharge your line , pay for your electricity , pay for your cable subscriptions , fund your betting account and buy internet subscriptions . You can note that there are some situations when you need to recharge your line or meter on a Sunday or hours that are not conducive to go out , with zoto mobile recharge app you can take care of all that from the conform of your home . It is very fast and 100% reliable . You can earn up to N20,000 bonus and pay bills with it . You caan earn upto N1000 bonus on first recharge . Invites friends and earn bonus upto N20,000. 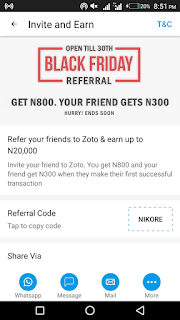 Currently Zoto are still on their Black Friday bonus offer , you can get great discounts and bonus when you sign up with this referral "NIKORE" . 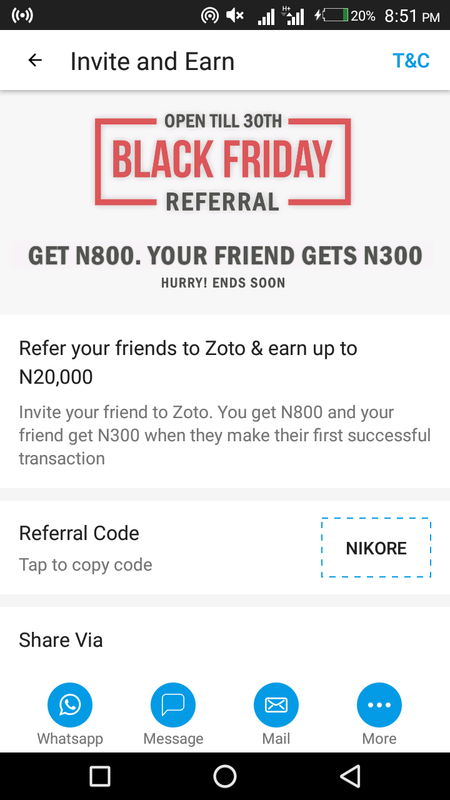 Download the zoto app for android and ios user here , remember to user this referral code "NIKORE"
After installing the app , open it and enter your phone number . 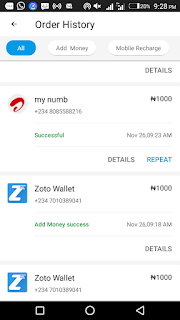 Zoto will call or send you and sms to verify your number . After that you will need to fill your name and mail . After complete registration , start earn amazing bonus on recharge and referral .